Look Your Best! We'd love to see you smile! Dentistry's many advances now offer many choices that can help you smile with confidence. It is easy to achieve a winning smile, whether it's for self-confidence or presenting a better business image. Now you can experience the confidence that a more beautiful smile brings. Advance in Cosmetic Dentistry now make it easier to have the smile you always wanted. 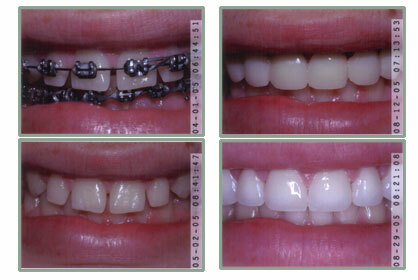 We now have many options that are available to improve your smile. Today there are many new smile-enhancing procedures that can reverse signs of dental aging. All restorative and cosmetic procedures are guaranteed within 5 years if decay sets in, provided that you follow through with the prescribed periodontal maintenance protocol without missing any of the reccommended recall visits with our office. Dr. Datu has over 13 years of experience and is a member of the part time faculty at the University Of Southern California School Of Dentistry. Your dental visit will be comfortable, pleasant, and typically on-time. Our goal is to have your teeth look their best, feel natural and last a lifetime. Having a beautiful smile that can last a lifetime. Call our office for a complimentary consultation appointment at 714-998-2241. Visit our office and find out more about what modern dentistry has to offer.